The Mazda Chatel Body Centre is your number one resource when you've had an accident, wanting to bring your car's paint back to life, or you want to protect your car from bumps and scratches. 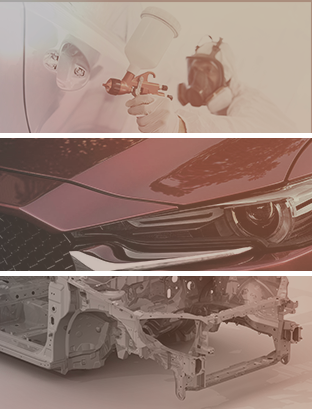 The Mazda Chatel Car Body Centre offers a diverse range of products and services to protect and refurbish the paint and body of your car. Mazda Chatel wants to meet all the needs of its customers through its many maintenances and body repair services. Your Mazda is already one of the most beautiful cars on the road, preserve its unique look now by calling on the experts from the Mazda Chatel Body Centre. We only use genuine Mazda parts when we repair the body of your Mazda which preserves both its reliability and resale value. Come meet us today to learn more about all the bodywork services available at Mazda Chatel. Our experts are waiting for you.